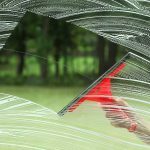 <span “font-size:12.0pt;mso-bidi-font-size:11.0pt;=”” line-height:107%”=””>Have you decided that now is finally the time to hire a professional window cleaning company…that you’re tired of looking through dirty windows or tired of wasting your weekends struggling to clean your windows while settling for sub-par results? If that is the case, then we can help you! <span “font-size:12.0pt;mso-bidi-font-size:11.0pt;=”” line-height:107%”=””>Your next step to weekend freedom is going to be to gather some information on a couple local companies and research them on the internet. After narrowing your search down to a few companies that you like, you can then start collecting pricing information for each one. 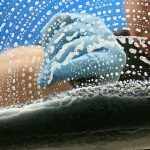 <span “font-size:12.0pt;mso-bidi-font-size:11.0pt;=”” line-height:107%”=””>Window cleaning pricing is typically based on “per window” pricing. This means that the company has a set price for each window on your home. 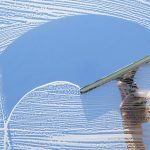 A good window cleaning company will have one of their representatives visit your home to complete a free estimate before giving you any pricing. The estimator will need to walk around the outside of your home and count/tally up your windows, screens, transoms, doors, skylights, etc. Some companies may even go as far as to have the estimator complete a walk-through on the inside of your home as well. After completing the site visit, the estimator will then be able to provide you with a firm quote for the different services that his company offers. <span “font-size:12.0pt;mso-bidi-font-size:11.0pt;=”” line-height:107%”=””>There are all sorts of different styles of windows in the Chicago market. There are thermal pane windows, French cut (true divided lite) windows, storm windows, oversized windows, and really tiny windows. Each style has a different price associated with it, which is why it is important to conduct a site visit before giving a firm price. You can expect to pay more for windows that require ladder access on the inside. These windows are called Palladian windows and are often found over the front door or in a 2 story foyer. Also expect to pay more for windows that are on the 3rd floor that require high ladder work. <span “font-size:12.0pt;mso-bidi-font-size:11.0pt;=”” line-height:107%”=””>We cannot stress enough the importance of ensuring that your contractors are properly licensed and fully insured BEFORE hiring them to work on your home. It is also advisable to check references for potential contractors to ensure that they are qualified to complete the service in a professional and timely manner.